By popular demand, The Beast is back. 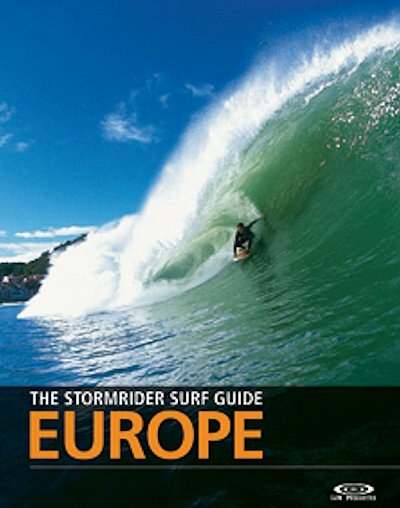 In response to customer feedback and general confusion, The Stormrider Surf Guide Europe is back in one huge, mind-blowing book. Much like a traditional bible, it seems surfers want both testaments in one place, so The Continent and Atlantic Islands books have been combined into 400 pages of pure surf stoke. This book is thick enough to stop a shotgun blast at point blank range, so it's R.I.P. for the box set as this is the 4th coming of The Stormrider Surf Guide Europe. The Stormrider Guide Europe (978-0-9539840-7-7) includes - Iceland & Scandinavia, Ireland, Wales, England, Scotland, Denmark, Germany, The Netherlands, Belgium, France, Spain, Portugal, Italy, Morocco, Canary Islands, Madeira and Azores.